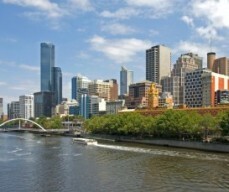 4 nights in Sydney, 3 nights in Melbourne and 3 nights in Cairns packages. DAY 01 – Arrive Sydney There’s no place in the world like Sydney! Your magical holiday Down Under begins today as you arrive into this very city. Upon arrival you are met and are transferred to your hotel. Check in and relax. Later relax in the city and enjoy the atmosphere. Overnight in Sydney. 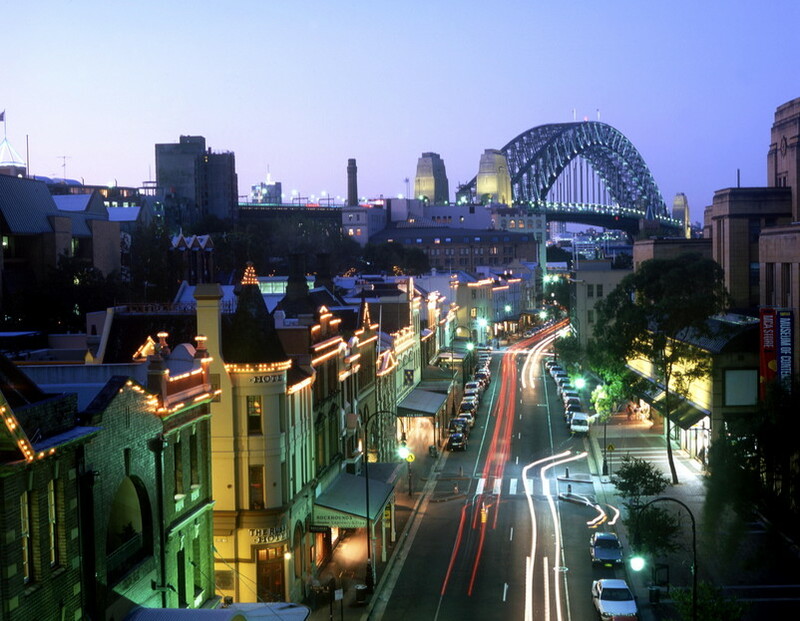 DAY 02 – Sydney – Blue Mountains – Sydney Wake up early this morning, have your breakfast in the hotel and get ready for the air-conditioned coach to pick you up from your hotel and drive you to the world heritage Blue Mountains. On the way visit award winning Featherdale Wildlife Park and be surrounded by the Australian native animals. Stop at Leura, a little village for lolly and antique shops. Now to the Blue Mountains – first the Echo Point Lookout. View the Three Sisters Rock Formation. Visit Scenic World and ride the world’s steepest railway, cableway or skyway (own expenses). A gentle bush walk to Wentworth Falls and discover breathtaking views of Jamison and Megalong valley. Overnight in Sydney. Day 03 – Sydney - Port Stephens - Sydney After early breakfast in the hotel you will be picked up by air conditioned coach. Visit the Australian Reptile Park, watch an alligator or platypus being fed. Board a luxury dolphin-watching boat with 3 viewing decks. Cruise around the magnificent Port Stephens region, home to pods of bottle nose dolphins. Listen to dolphins underwater. There's a 99% success rate of finding dolphins. Take a thrilling ride on the boom net - perhaps you might meet the wildlife up-close! Bring your bathers, hat and sunscreen. After your Dolphin Watching cruise, get set for thrills and spills as you set off in a purpose-built 4WD vehicle for your sand-boarding adventure in the Stockton Bite Sand Dunes. Try your hand at high speed sand-boarding down the enormous dunes, which climb up to 30 metres high with slopes of up to 60 degrees! Pass through the historic Rocks area. Overnight in Sydney. Day 05 – Sydney Sight Seeing Morning Tour & airport transfer After early breakfast in the hotel visit Darling Harbour, cross Sydney Harbour Bridge, travel through trendy suburb of Neutral Bay, enjoy magnificent view over Middle Head, stop at Arabanoo Lookout, enjoy morning tea (own expenses) at seaside township of Manly and beautiful beach, take a walk along The Corso that separates harbour from ocean, concluding your journey at either Kings Street Wharf in Darling Harbour or at Circular Quay. Airport transfer. Experience cosmopolitan Melbourne. See Parliament House, Queen Victoria Market and the Royal Botanic Gardens. Travel to the Maru Koala & Animal Park to get up close to koalas, kangaroos, Tasmanian Devils and other native animals. View the Nobbies rock formations overlooking the treacherous Bass Strait. Next stop are the Little Penguins on Phillip Island. Head down to Summerland Beach and as the sun sets the penguins emerge from the sea and waddle across the sand to their dune burrows. Upgrade to the Penguin Parade Viewing Platform for a premium position. Ask us for details. Admire panoramic views of the Melbourne city skyline before travelling along Victoria’s famous Great Ocean Road. See the quaint coastal towns of Lorne and Wye River, spectacular Cape Patton, and the beautiful white sandy beaches of Apollo Bay. Drive through lush tree-fern gullies and towering mountain-ash rainforests of Otway National Park. The splendour of the approaching Twelve Apostles is breathtaking. These incredible limestone rock formations up to 45 metres high are the result of 20 million years of erosion. From the cliff top viewing area absorb the grandeur of this iconic site. Enjoy the amazing shipwreck story of survival of the Loch Ard and visit its famous Gorge and Razorback Lookout. Visit the rock known as London Bridge, parts of which have collapsed in recent years. Top off this highlight day with a break at the little seaside village of Port Campbell. On arrival at Cairns Airport you will be transferred to your hotel (flights anytime). Board a high speed catamaran and cruise to the outer edge of the Great Barrier Reef. Covering approximately 35 million hectares, it is the largest reef structure and marine park in the world and offers an experience like no other. View the spectacular coral and tropical fish from the underwater observatory and semi-submersible craft. You’ll have the opportunity to go snorkelling and experience this natural wonder up-close (equipment provided). Enjoy a tropical buffet lunch before returning to Cairns early evening. Visit the fascinating Tjapukai Aboriginal Cultural Park, Australia’s largest indigenous cultural park which has been built in a spectacular rainforest setting. Discover this ancient culture through bush food lessons, didgeridoo demonstrations, movie theatres, fire making demonstrations and the famous Tjapukai Dance. A short distance from Tjapukai is the Skyrail Rainforest Cableway. This will take you directly above the breathtaking canopy of the Barron Gorge National Park. En route to Kuranda, there are 2 stations where you can enjoy a walk through the rainforest and observe its beauty from spectacular lookouts. On arrival there is free time to explore the ‘village in the rainforest’ and its many attractions, including the Heritage Markets. After exploring, board the Kuranda Scenic Railway for a historic journey travelling through some of the oldest rainforest in the world. Passing the spectacular Stoney Creek Falls your journey winds through man-made tunnels, across bridges and around curves to arrive at its final destination, Freshwater Station. Your short break concludes this morning after breakfast. You’ll be transferred to Cairns Airport for your onward flight (flights anytime).